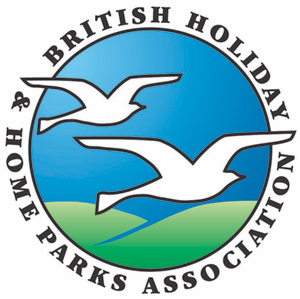 The Foxhunter Park is widely recognised as the leading leisure caravan park in the country. We have holiday homes for sale or rent for a week or short stay. Enjoy a unique experience where the atmosphere, exquisite gardens, and facilities will take your breath away. Our facilities include a club with entertainment for adults and children, restaurant, heated swimming pool and children's pool, Beauty Spa with Jacuzzi, sauna, fast tan standup sunbed and our very own qualified beauty therapist will relax and refresh you. We also have a tennis court, amusement arcade, laundrette and children's adventure playground. 'Les Bon Son' is our resident entertainer and is a very popular member of our team. He organises discos, bingo, karaoke, quiz nights, swimming galas, theme nights, fancy dress competitions, fun splash hour in the pool, musicals, just to name a few. We also have great cabarets to entertain you in the club. The Foxhunter Park is just an hour from London in the beautiful Kent countryside close to the beaches of Margate, Ramsgate and Broadstairs. The historical city of Canterbury is twenty minutes away and France is just an hour away. We sell used holiday homes from as little as £3,995. Luxury new homes start at £20,000. We also hire luxury double glazed and centrally heated holiday homes for a week, or a short break, fully inclusive prices vary from £150 - £200 in low season to £550 - £625 in high season. A 5* family park run by a family - into its 3rd generation - offer a wealth of experience. Equidistant between Ramsgate and Canterbury in the village of Monkton just off A299.